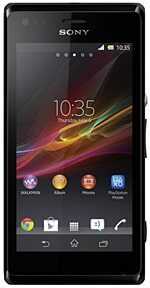 The Sony Xperia M is a competent Android NFC handset that slots in at the low end of the company’s range. The Xperia M has a 4-inch 480 by 854 touchscreen and comes in single- and dual-SIM versions. A five megapixel rear camera is capable of 720p video recording, and the Android 4.1 device is powered by a 1GHz dual core processor from Qualcomm. The Xperia M was announced in early June 2013 and is expected to arrive at retail in the third quarter of 2013. I am unable to connect my xperia M with Google nexus 7 tablet. Can somebody provide info on this.